Are you on the lookout for fun, child-friendly (and sugar-free!) alternatives to chocolate eggs. 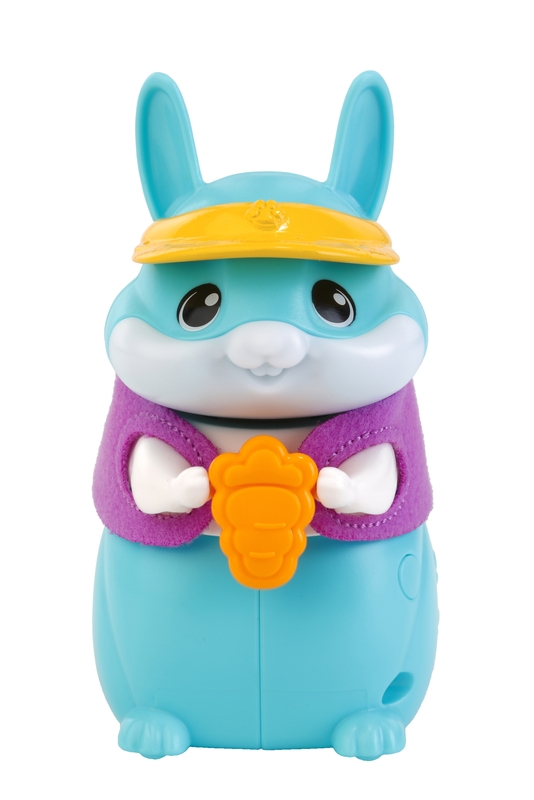 Check out PetSqueaks Betty & Nibble Bunnies (£14.99), a brand new pocket-sized robotic pet from VTech for three-plusses. This cute pet plays interactive responses when you trigger one of three sensors. Kids can nurture their very own little companion and take them wherever they go. Watch PetSqueaks™ move and scurry around on flat surfaces, just like a real pet. Each PetSqueaks™ comes with three accessories; headwear, jacket and a food item. Put the food in your PetSqueaks™ hands to see its cheeks light up in delight as it nibbles away! Also from VTech, Lullaby Lambs Mobile is a charming Easter gift for a baby, suitable from newborn. 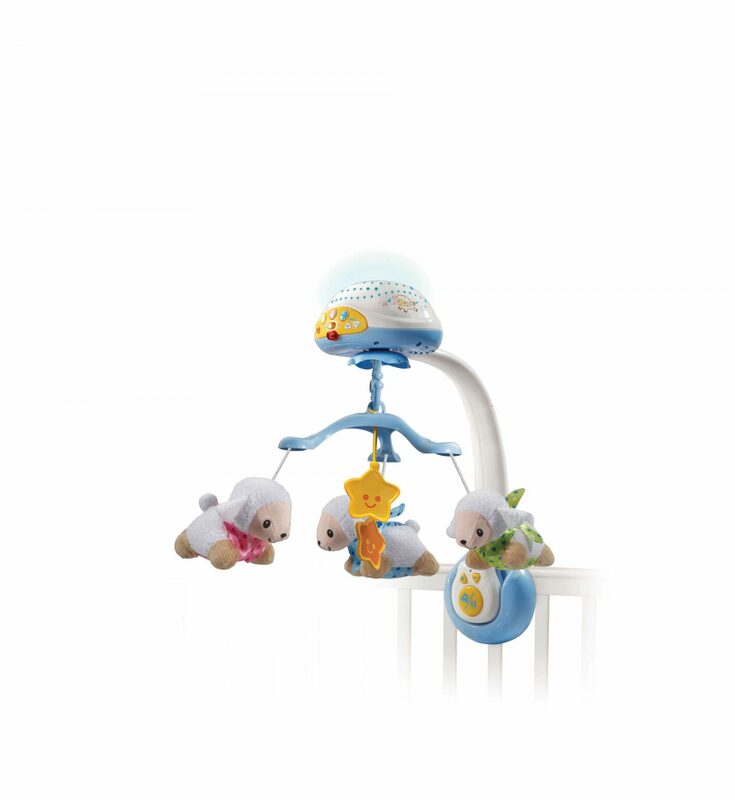 Price £34.99, the detachable mobile features three adorable soft lambs which spin as gentle melodies play in the background. It projects four colourful light patterns and plays four songs and 40 melodies to help your little one sleep. The mobile can also play nature sounds or white noise and there is a 5, 15 or 30 minute timer switch to select length of play. A remote control is included so you can change the volume or play or pause music without disturbing your child, and a sound sensor detects baby’s cry and plays songs and sounds to soothe.